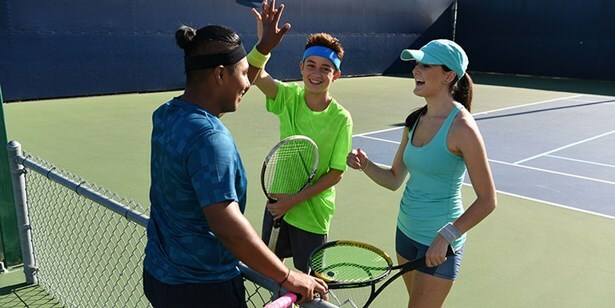 The USTA/Midwest Section is seeking applicants for a paid pilot summer internship program that has become available pursuant to USTA National’s Diversity and Inclusion Program. The Diversity Intern will assist the Diversity and Inclusion Specialist along with the Director of Marketing, Membership and Communications to execute the Section’s Hispanic Engagement action plan. The Internship will include developing bilingual marketing materials, researching and identifying diversity leads and creating the Steps for Success Guide for Hispanic Family Days. Finally, the internship will include various special projects such as community tennis events and the USTA/Midwest Section Meeting during the Western & Southern Open. Assist with organization, administrating and attending Hispanic Kids Event in Kalamazoo, Mich., and a Fiesta event in Van Buren County. The intern will complete a USTA National evaluation survey, review position with on-site supervisors, and make a final presentation to staff about experience.